The baseball games are fun, the atmosphere the environment and the people. I want to go to the new restaurants an visit the new stores that are opening in the city. Did you hear about the new art gallery opening in Detroit that could be fun to visit. 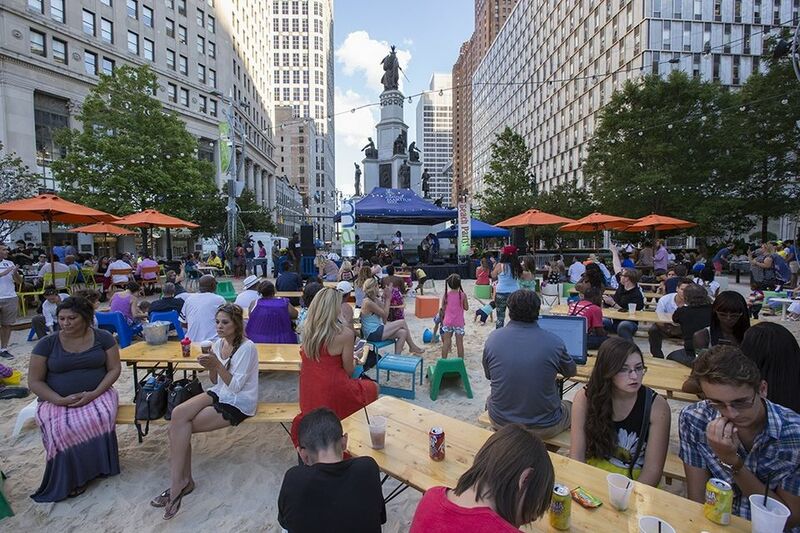 There is going to be a free concert in Campus Martius do you want to attend? These are many of the typical reasons I hear from individuals on why they are visiting Detroit. The city carries with it a sense of excitement and a desire to be a part of it. Yes, I have had an interest and a desire to be involved in the city for much longer but not everyone else has. Some people simply didn’t know about everything that was available to them in the city. That may have been because of poor advertising by the business or promoting by the city. It may have been because the good was overshadowed by the bad for so long. It is hard to get out from underneath the crime and corruption that plagued Detroit for so long. The fact that people want to come to the city now and didn’t before they should not be judged for that. People want to Detroit to grow and prosperous then guess what people will need to “want” to come to the city. The new things that are opening and are being built are creating an excitement for people to come. Hopefully they are exploring the city further and learning about its history and the many businesses that have been there through the rough times as well. I look at the new things in the city as the shiny penny the grabs your attention. Once people are there then they can take a second to look around realize what else is available to them. Maybe then they will also look around and see that there are problems and issues that still exist in the city and need to be addressed and step in to assist. So in the end don’t get mad at the reason people are deciding to visit Detroit or that they didn’t before. Be glad that they are because with that interest some of the right people can come along to help make the right and positive impacts in the city which it needs. Don’t forget the cities past but don’t deny it’s future there can be a happy mix of the two.